CALL FOR PAPERS : How does Merton’s legacy remain relevant today? 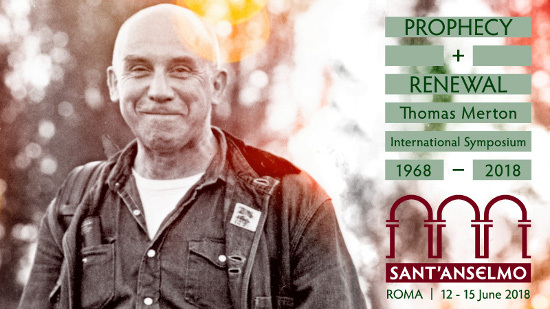 To mark the 50th anniversary of Thomas Merton’s death, the Monastic Institute of Sant’ Anselmo will help answer the question: “How does Merton’s legacy remain relevant today?”. Throughout the remainder of 2017, we will invite proposals of interdisciplinary reflections on Merton’s work. Then, on 12-15 June 2018, Sant’Anselmo will host an international symposium on the Aventine Hill in Rome, in conjunction with the Associazione Thomas Merton Italia.